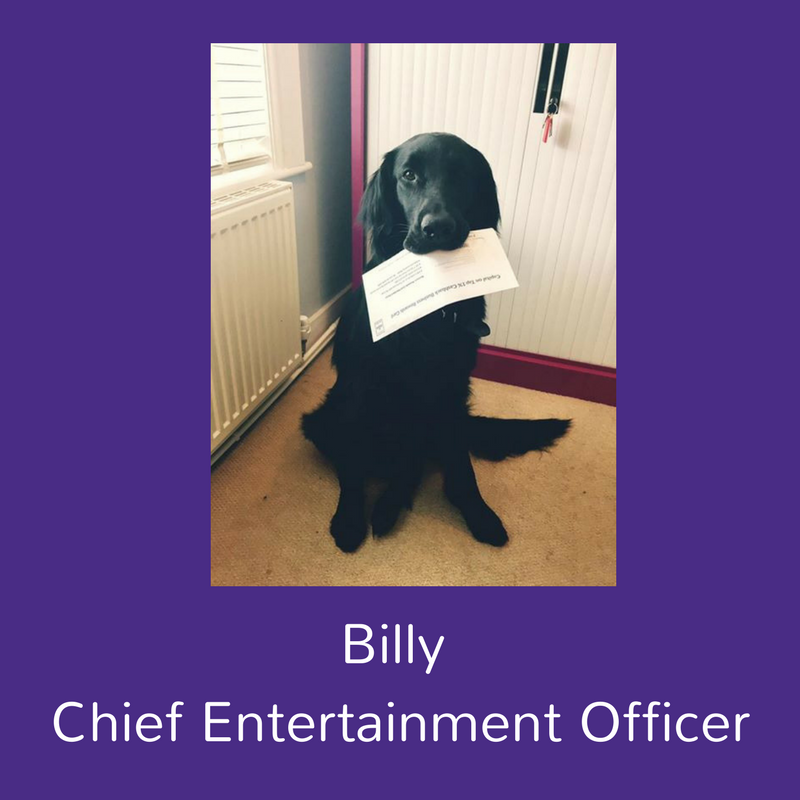 right, Billy is our Chief Entertainment Officer! Why did we decide to appoint our office dog as our CEO? It’s been widely reported in the media that office dogs can reduce stress in the workplace. Who doesn’t love a visit from a furry friend when they visit the office? So if we’re feeling a bit stressed you might find us chatting to our CEO, or even taking a quick walk around the park with him to de-stress! Flexible working isn’t all about mums who want to return to work. We believe in flexible working for all and that includes everyone on our team. That means, just as the kids need picking up from school, our office dog Billy needs a run around the park before work, during work and after work! And who could say no to that face! A flexible working culture is important to us and means every member of our team has the flexibility to balance their home life with their work life and we think that’s pretty important! Even without the rest of the benefits, Billy brings fun to our office. Let’s face it, humans at work are often grumpy and stressed. If any of us are having a bad day Billy does his best to bring light to the situation! Many a time he has been found chewing paper in the office, or with his head in Kathryn’s handbag trying to steal her pen or even trying to sneak a bite of someone’s sandwich! We think every workplace could do with a bit more fun sometimes and what better way to do that than appoint your office pet as your Chief Entertainment Officer? Would you like some recruitment help from our amazing team of humans?